I first met her in church. She was sitting beside my mom. Her face was beaming with a smile like the pearls surrounding her neck. Little by little, I learned that this woman whom I fondly call Tita Mila was more than what meets the eye. In my performance class, I was assigned the poem ‘For Nelia.’ I was surprised when I saw her name written under the poem. You know that feeling when you’re surprised to know something amazingly crazy about someone you know. 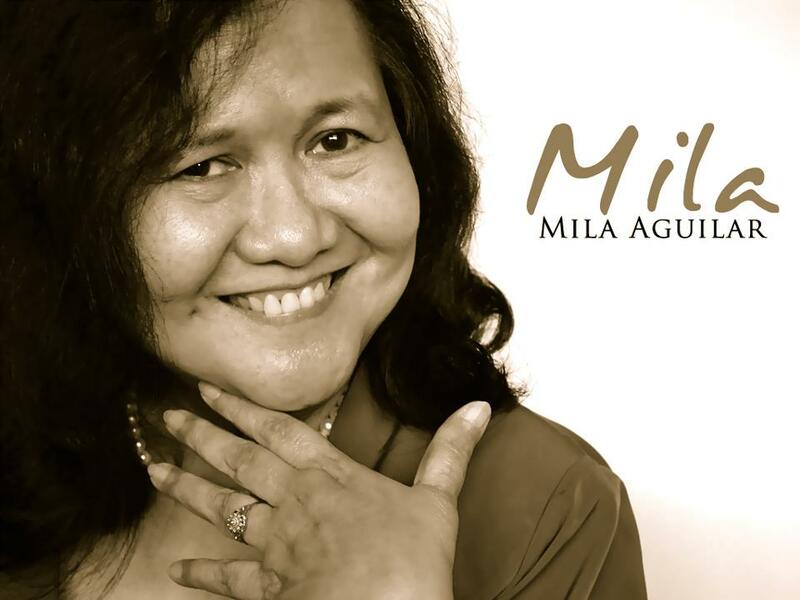 I felt weird because I think there’s a disconnect between that gentle Tita Mila I know and zealous Clarita Roja. Nonetheless, I was excited to ask her about the poem and what it means to her. I got more than what I bargained for. She talked of who she was and who she is now and what changed her, or should I say Who. She told me that she was not just Mila Aguilar but also the legendary Clarita Roja during Martial Law. The one who went into the Philippine underground, the one fought by the pen against the Marcos regime. She was more than just an ordinary member. She led as the head of the Regional United Front Commission of Mindanao, and as the head of the National United Front Commission of the Communist Party of the Philippines. They fought even at the point of death. She laughed at that point. She said that the poem stands true for her even at this point in her life. She’s now a Christian. Her joy is in the Lord. And now that she believes in Jesus, more than ever, she will fight for her faith. She will never sway. This Rock that she’s fighting for fills her heart with joy and love. For her, He’s worth fighting for because He loves her so. I needed to let her words sink in my heart. My phone interview for a class performance became a class in itself. The lesson was clear. She was authentic. She knows how it is to fight for what she believes in. She knows how to die to herself just to fight for her what she believes in. I pressed the end call button as we said our byes and see-yous. I had to stop and ponder. Fight for what you believe in. Be firm in your faith. It made me think, what am I willing to fight for? What are you willing to fight for? Yes, she’s a wonderful woman.